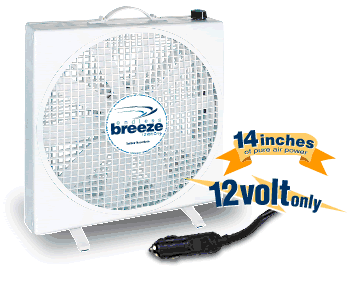 Endless Breeze is a powerful, high volume, portable 12 volt fan that utilizes an automotive type motor with a twelve inch blade that's operable at three speeds.It blows 900 CFM (cubic feet per minute) air movement, this equates to a constant 10 mph wind. A major breakthrough is introduced in 12 volt fan portability. The Endless Breeze, weighing under five pounds, standing on retractable legs, is only fourteen inches tall with a depth less than four inches it travels and stores easily. 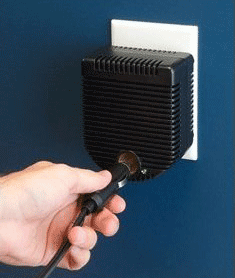 Any 12 volt power source can power the endless breeze; automotive lighter outlets, connecting jumpers to any 12 volt battery or into a 110 volt AC, 5 AMP converter. Current draw is a 3 amp maximum. Endless breeze is equipped with an attached 12 volt plug and cord as well as an innovative pet friendly feature, a swing-out hanger arm. The uses are literally endless! 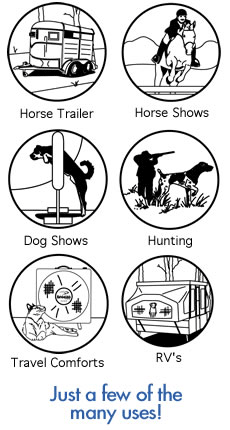 Many applications include boats, campers, horse trailers, sleeper cabs, tents, power failures and the family car, suv or van. Allows for easy attachment to your pet crate. Your pet will absolutely enjoy it! Especially since your pet will be able to cool before, between and after performance runs or as you travel. Customers claim they have used the fan to blow bugs away on humid nights or even to assist RV refrigerator thawing! The uses are literally endless with The Endless Breeze Portable Fan! 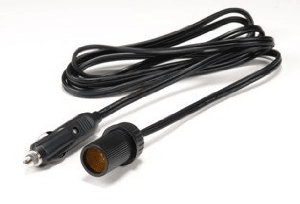 Dimensions: Height: 14 1/4" Width: 13 1/2" Depth: 3 5/8"
8' Extension Cord used to extend your connection between Endless Breeze & standard power port. 110 Volt 5 amp Converter used for Fan-Tastic Vent Endless Breeze Fan. Power Source is converted to ordinary household electricity. Copyright © 2010 Endless Breeze. All rights reserved.